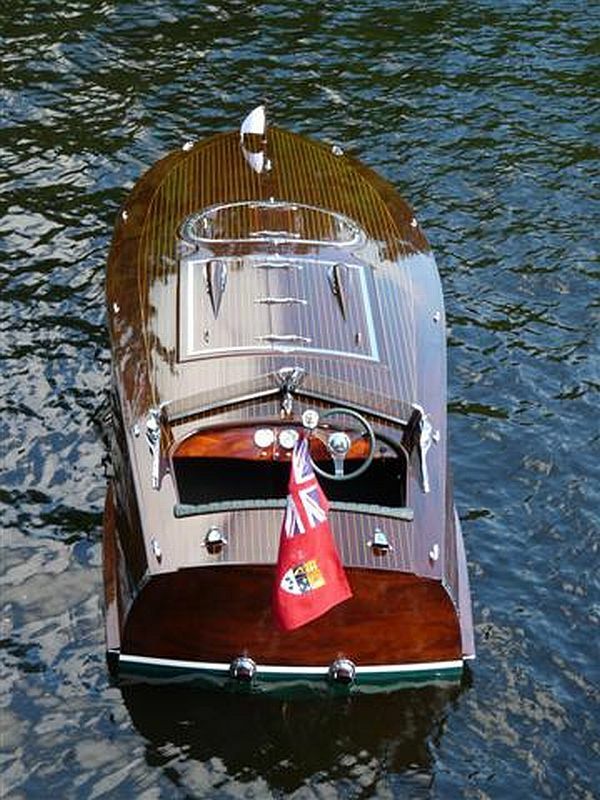 You are browsing the archive for wooden race boats. Although there’s nothing more enticing than the deep throb of a classic marine engine exhaust,, solar power is on the rise – for good reason. Enjoy the video below of the lightning-speed build and running of a solar racer. 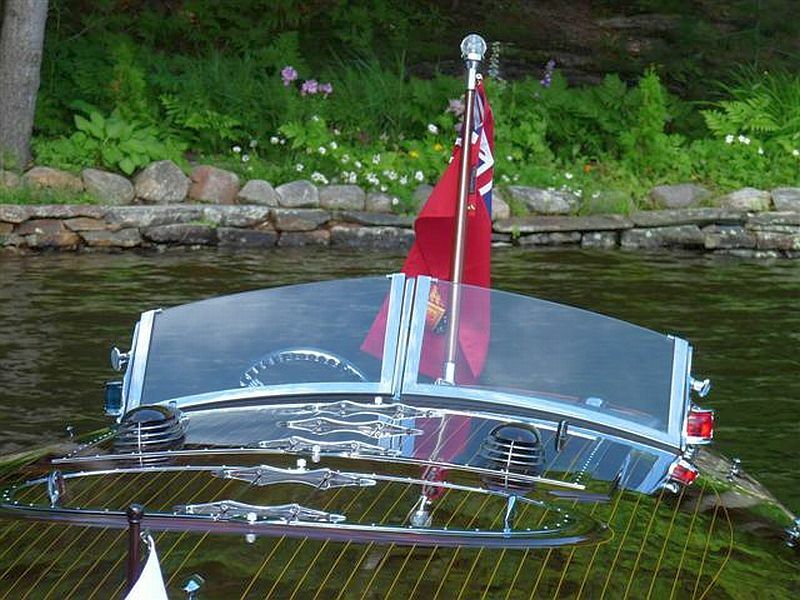 The McCullough brothers of Honey Harbour Ontario, already boasting a number of restorations to their credit, have been working over two years to re-create a hydroplane created by renowned designer Bruce Crandall in the 1930s. The original pattern has been lengthened to 19 feet. Originally powered by a four cylinder flathead engine, the enhanced version of the design will be propelled by a 350 Magnum engine, pushing this stepped hull racer far past its forbearer’s speed record. Mike and Bill have reached a stage in the construction where they can begin applying the cedar rivet-fastened skin to the frame. Enjoy the short video below. New price on custom Gentleman’s Racer. 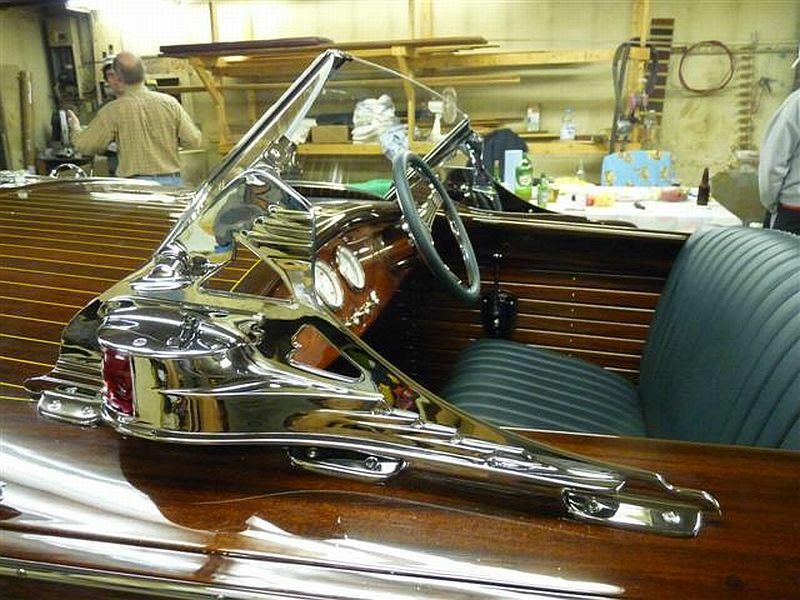 We have been instructed by the owner to reduce the price of this one-of-a-kind Gentleman’s Racer. Originally priced at $235,000 CDN, the price is now $179,000 (negotiable). Please see note from the owner below. 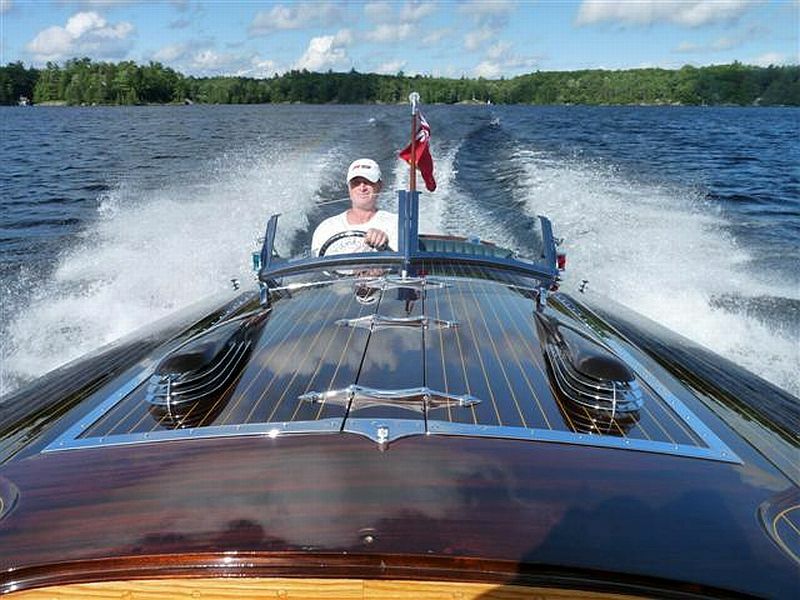 Tags: antique boats, classic boats, Gentleman's Racer for sale, Port Carling Boats, vintage boats, wooden race boats, www.portcarlingboats.com Comments Off on New price on custom Gentleman’s Racer. 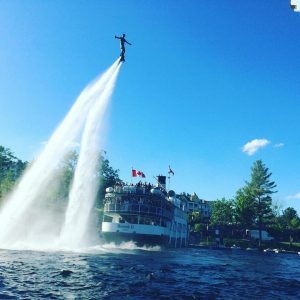 A new hydroplane is underway in Honey Harbour, Georgian Bay. 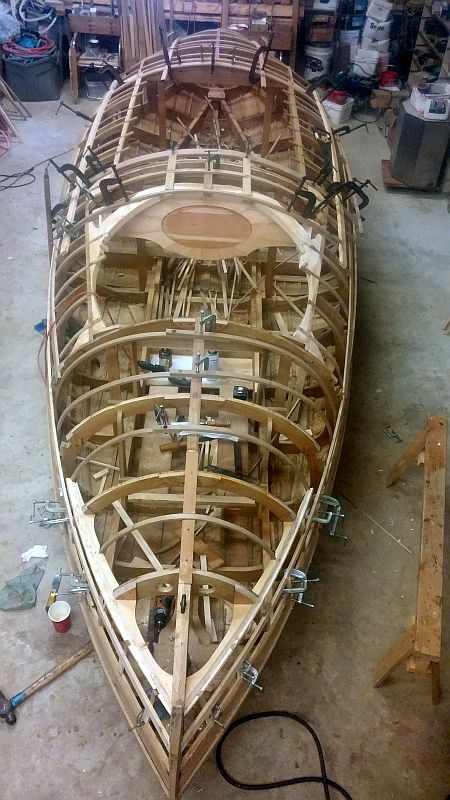 Congratulations to Bill and Mike McCullough, who are building this race boat in their Honey Harbour shop this winter. Bill is the builder with Mike as side-kick. 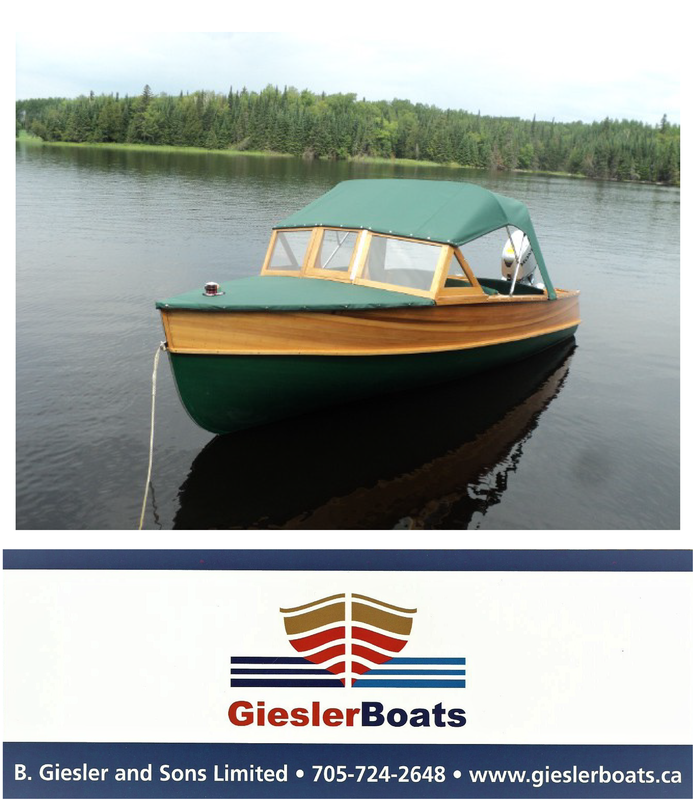 Bill worked with Vic Carpenter, (Superior Sailboats) for many years in the 80s and also worked for Gary Clarke for a few projects where he gained the knowledge of fine boat building. 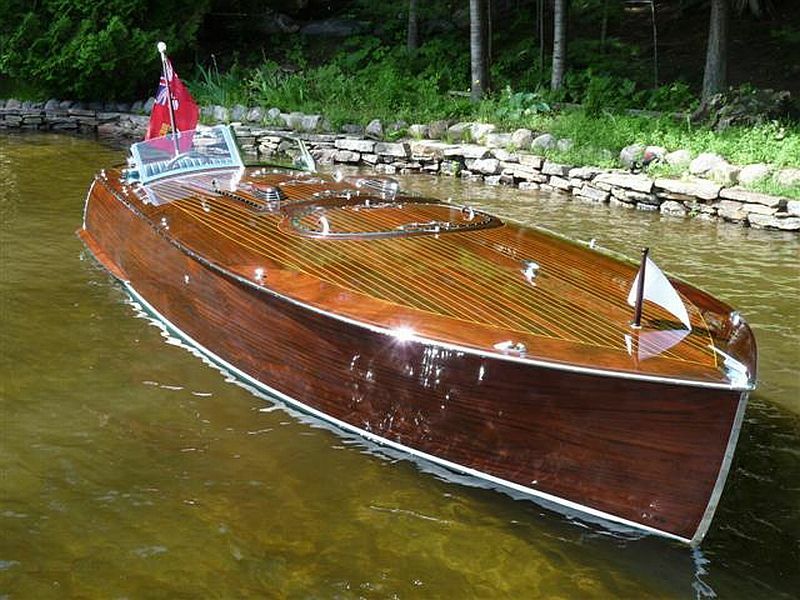 This hydro is a new build and a copy of a 1936 Bruce Crandall design 135 CU Inch Stepped Hydroplane Race Craft. Originally these craft were 15′. The McCulloughs “jumbo-ized” the plans and made a 19′ version, using white oak frames and western red planking for looks and lightness. In between each frame are two steamed oak ribs. 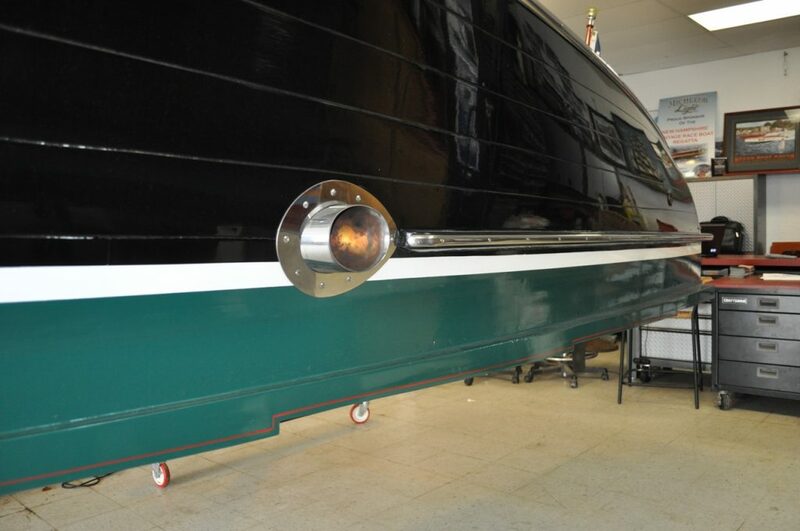 Planking will be West System affixed and copper riveted for extra strength and amazing looks. Bill and Mike are choosing a modern Chev. 350 magnum EFI for a power plant, which certainly will make it fly! 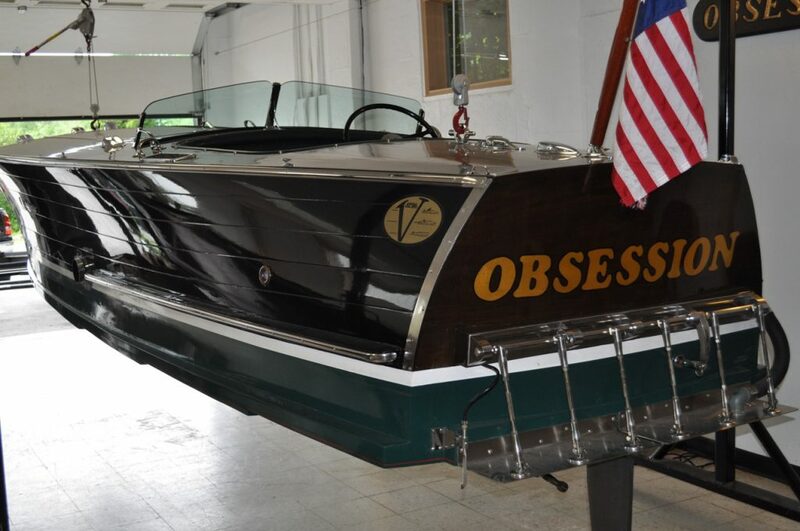 It is a proven hull and will be a joy to run. The McCulloughs will have the the boat completed for Spring of 2018. The hydro will be tested and up for sale. For further information, please contact Mike at at islandmike2(at)hotmail.com to set up a viewing. 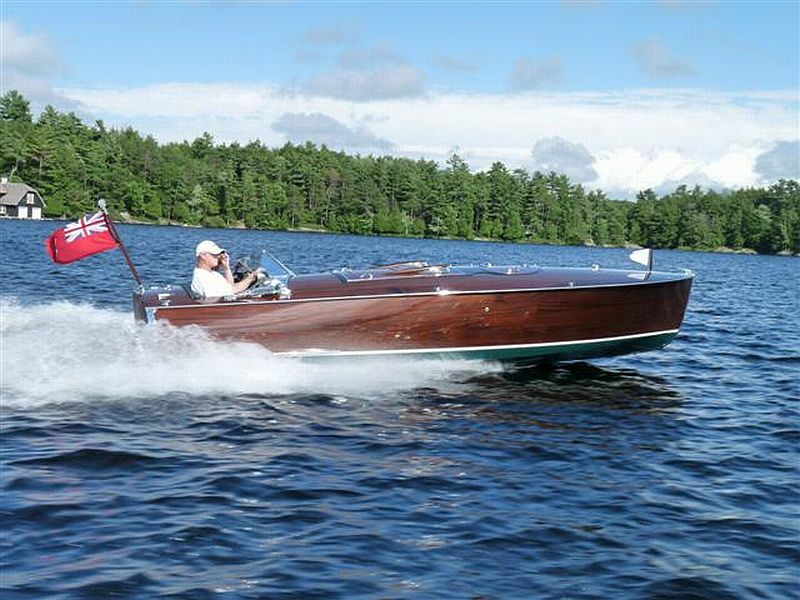 Tags: ACBS, antique boats, classic boats, hydroplanes, Port Carling Boats, race boats, vintage boats, wooden boats, wooden race boats, woody boater, www.portcarlingboats.com Comments Off on A new hydroplane is underway in Honey Harbour, Georgian Bay.